"This Krsna consciousness movement is meant for the purpose of understanding God. The spiritual master is the living representative of Krsna who helps externally, and Krsna as Supersoul helps internally. The living entity can take advantage of such guidance and make his life successful. We request that everyone read authoritative literature in order to understand this movement. 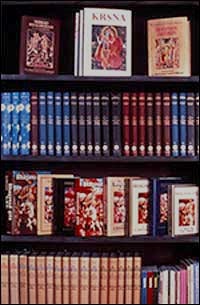 We have published Bhagavad-gita As It Is, Teachings of Lord Caitanya, Srimad-Bhagavatam, Krsna and The Nectar of Devotion. We are also publishing our magazine Back to Godhead every month in many languages. Our mission is to save human society from the pitfalls of incarnating again in the cycle of birth and death."